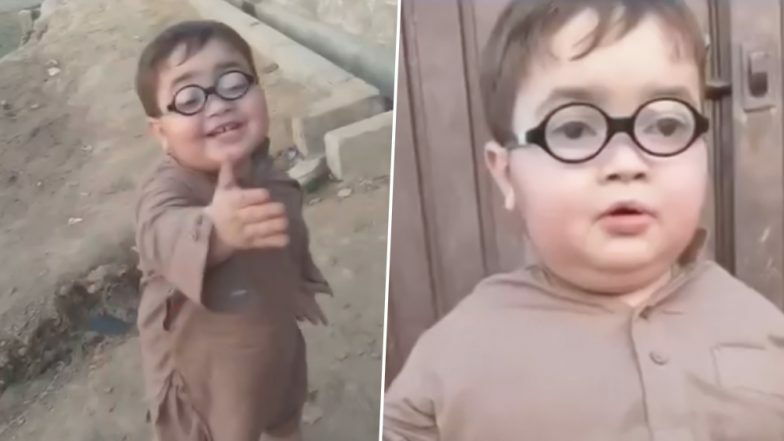 Adorable ‘Peeche Dekho’ Boy’s Viral Video Is Spreading Cuteness All Over the Internet, People Compare the Little Pathan Boy to Taimur! Kids videos online are the best thing to watch if you have a stressful life. They are not just super cute but are the epitome of innocence and happiness, and in this era of social media, it is easy to share their cuteness with millions of people, making their lives better. While we talk about popular kids the first name that pops up in our heads is of Taimur Ali Khan- son of Kareena Kapoor Khan and Saif Ali Khan. However, looks like Taimur has a new competition online. A little Pathani boy is going viral on social media, and many people have been comparing his cuteness with Taimur's. This adorable boy's conversation in a typical Pathani accent is breaking the internet. The boy, fondly called the 'Piche Dekho' boy seems to be talking to one of his relatives in the video who is also capturing all his antics. Amidst a simple conversation, the adorable little one gets distracted by what seems to be like a hen and then he breaks into a smile! The whole video is overloaded with cuteness and a treat to the eyes. Man in China Trains Pet Dog to 'Supervise' His Daughter Doing Homework, Adorable Video Goes Viral. A commenter commented that he is Peer Ahmed Shah a Pathani kid from Pakistan and that he is a YouTube sensation. While we are not sure of the information, the boy is surely a treat to the eyes! It is videos like these that make your day a little better and bearable, isn't it?